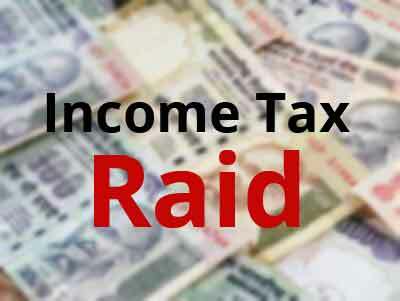 RAIPUR: City based private hospital, Shri Balaji Super Speciality Hospital (SBSH), declared and surrendered around Rs 6 crores of unaccounted money, after the Income Tax department department conducted a thorough search and assessment of the hospital. TOI reports that the search was conducted by the IT department’s investigation wing, who carried out a survey at the said hospital and at an electronic showroom here. The IT sleuths asked the hospital administration to submit pay slips in order to determine whether post demonetisation, advance salary was given to dispose off the unaccounted money. Out of fear, the hospital administration surrendered their black money to the I-T sleuths late on Saturday, adds the daily. The hospital had began its functioning in the year 2009 at Raipur with another 150 bed branch functioning at the Korba district. Recently a third branch of the hospital was inaugurated at Tikrapara area, with the hospital also providing nursing and paramedical courses. Dr Devendra Naikand Neeta Naik are medical director and managing director of SBSH respectively.